Community Manager Appreciation Day is an annual event held on the fourth Monday in January. It is dedicated to online community managers – people responsible for building, developing, and managing online communities, often around a brand or a cause. Community Manger Appreciation Day (CMAD) was launched in 2010 by industry analyst Jeremiah Owyang. The celebration is dedicated to recognizing and celebrating the contribution of online community managers to the improvement of user experiences. 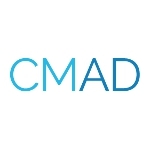 The first ever CMAD was held in the United States on January 25, 2010. The observance went international the following year, when a CMAD event was took plaice in Nairobi, Kenya. The first European country to celebrate CMAD was Finland in 2012. List of countries that celebrate CMAD has since expanded and includes the USA, Australia, Ireland, the Netherlands, the UK, Canada, South Africa, Finland, China, France. CMAD is widely celebrated in cities with large concentrations of social media focused businesses. In-person meetup events are organized to discuss matters related to the digital media and content industry. If you are a client and do not participate in such events, you can thank online community managers by sending tweets that include the #CMAD and #CMGR hashtags.